The March Meeting was held on the evening of the 20th. The topic was Mabie Todd Pens. Several members brought collections, both large and small. 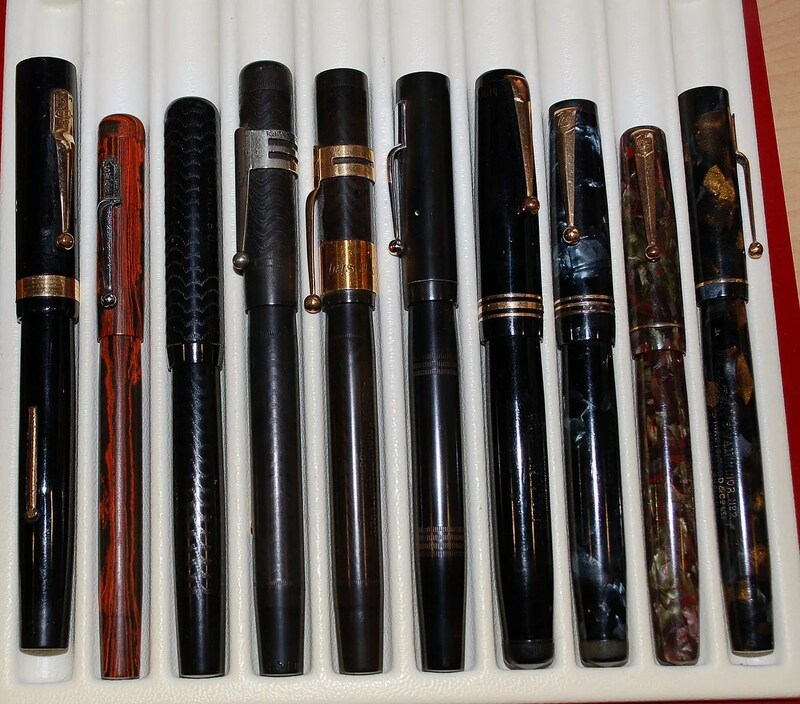 Those of us without representative pens enjoyed a Mabie Todd talk by Francis and looking at several of these collections. A few photos follow. Next Month’s Meeting will be on April 17th at 6:30 and the topic will be Desk Sets. 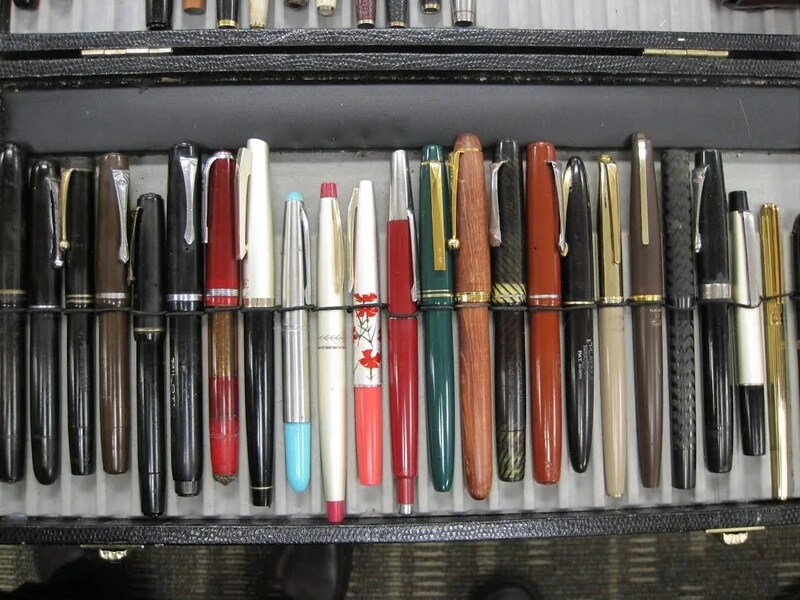 Bring up to 5 of your Desk Pens/Sets for show and tell. See you then! The PENS March 2015 Meeting will be on Friday March 20 at 6:30 pm. 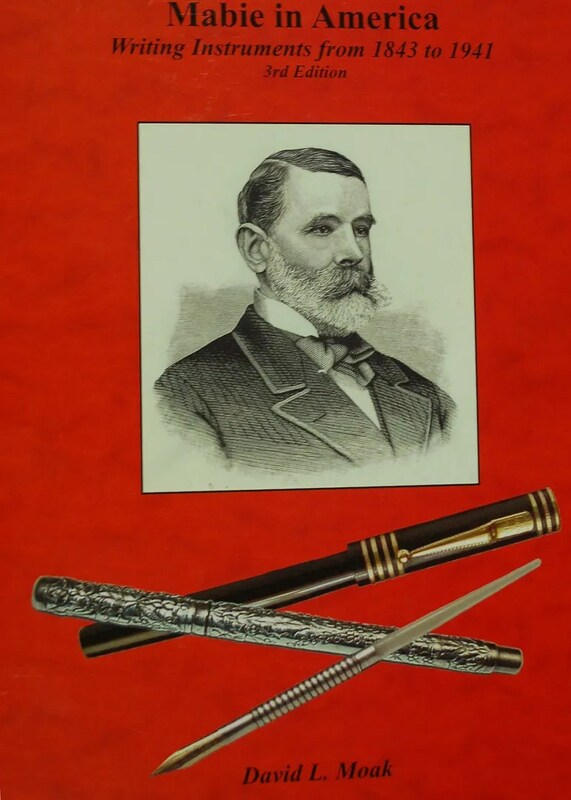 The Topic for this Friday is Swan Mabie Todd Pens and Ephemera. Please bring any items that you have related to this as well as your recent finds. We look forward to an entertaining evening. Japanese Pens was the theme of the February meeting. 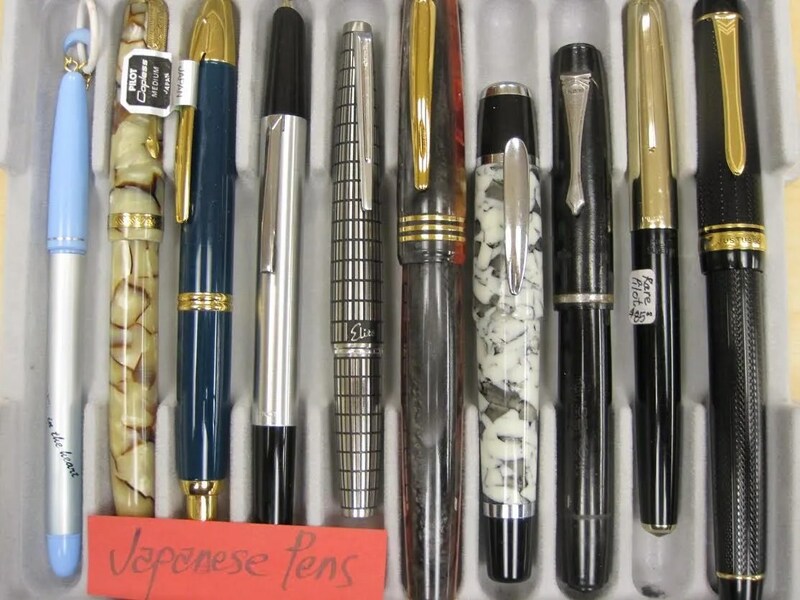 There was surprisingly a large collection and variety of Japanese pens that members brought to show and tell. 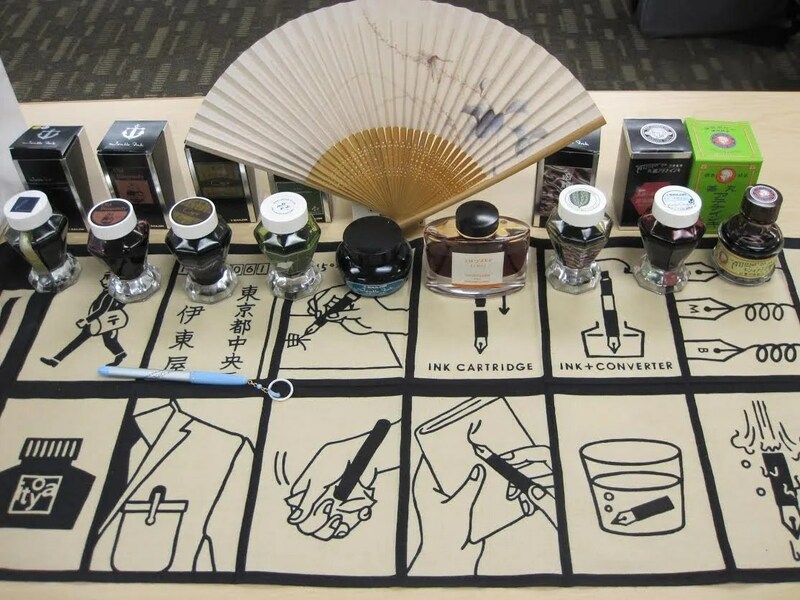 Nyleen brought an aesthetically pleasing store display for ink bottles sent to her by a friend from Japan (see photo). 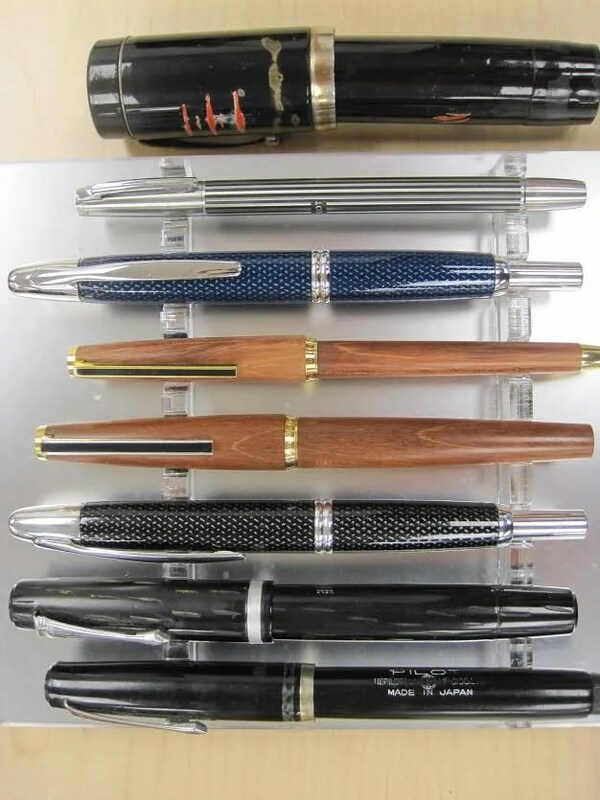 Basil had the largest collection and variety of Japanese pens such as Namiki, Pilot, Platinum & their sub-brands. 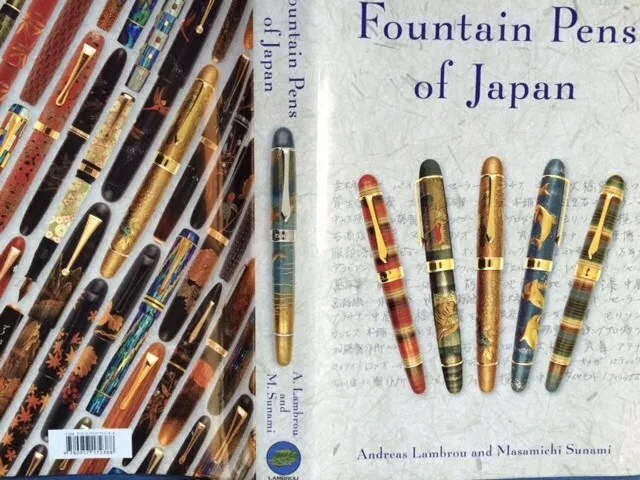 Francis brought a recent book on Japanese pens written by Andreas Lambrou & Masamichi Sunami for reference. 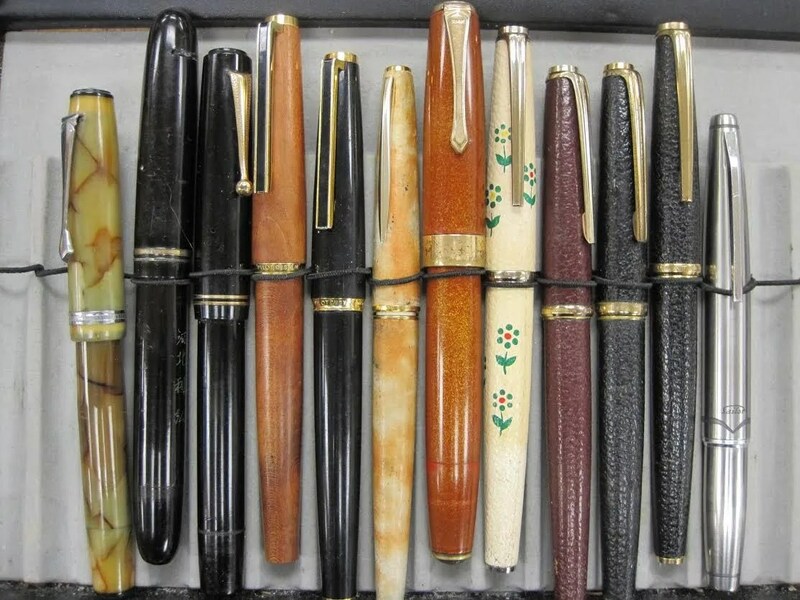 Mr. Sunami has one of the largest collection of Japanese pens & ephemera in the world. Articles for our Newsletter: We discussed each member doing a short write up on their area of interest/expertise, which will then be featured in the monthly P.E.N.S. newsletter. Jim Nelson has volunteered to do a piece on early evolution of Ink Blotters. Pranay volunteered to do a piece on a Pen Shop in his home town in India. Please volunteer to add to this project! Our next meeting is on March 20th. 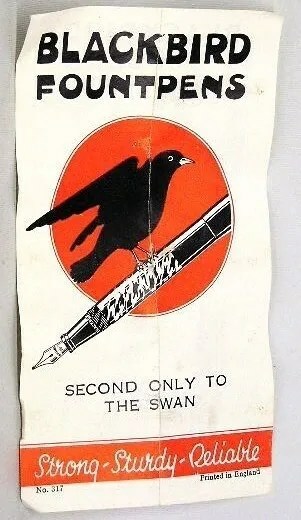 The theme of the meeting is Swan Mabie Todd Pens & Ephemera. Please remember the meeting starts at 6:30 PM. In order to help Randy who lets us in the building, try be on time to minimize his back & fort shuttle to open front door. Thank you!